In my last post, I reported on a white paper summarizing the proceedings of the 2013 Planetary Defense Conference, which I attended April 15-19 in Flagstaff, Arizona. In this post I’ll offer some observations on the meeting. At the PDC, I heard a lot of numbers, and I heard a lot of differing numbers: How big is that asteroid? How old is that crater? How many asteroids are potentially hazardous? 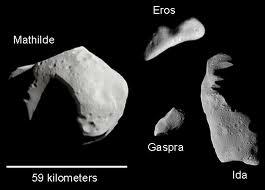 How many asteroids are accessible for human exploration? I heard competing claims about what’s possible and what’s not – with regard, for example, to delivering “kinetic impactors” to NEOs. I heard differing rationales – for sending humans to asteroids, for example. I noted that much of the NEO community is immersed in an abstract world of computer modeling, probabilistic risk assessments, Monte Carlo simulations ….a virtual world of sorts, a world constructed of numbers. If one lives in that world and speaks the language of that world, that world makes sense. If one lives in the material, concrete world, maybe not. In the middle of the week, we PDCers took a break from presentations and had tours of Meteor Crater – diameter 4,100 feet (1.2 kilometers), depth 570 feet (173 meters), mass of impactor “several hundred thousand tons,” rock displaced 300 million-400 million tons. Thanks to Northern Arizona University planetary scientist Nadine Barlow, who studies craters on Earth, Mars, and other planetary bodies, for being our guide. Meteor Crater is a family-owned, for-profit business. The visitors center there shows two short films (each 6-7 minutes long). One tells the story of Meteor Crater – how it was formed, what its geology is like, and who put the crater on the map, so to speak. The other is a sales pitch – a solicitation for contributions – for the B612 Foundation’s Project Sentinel, a space-based NEO survey telescope for which the foundation is in the process of raising funding. Returning to PDC presentations, I heard a lot of talks about a variety of missions to asteroids, for study and for deflection. I heard way too many talks about concepts for sending nuclear “devices” (I call them bombs or weapons) to deflect asteroids that might be on an impact course with Earth by exploding on, in, or near the asteroids. Some of these concepts are coming out of the U.S. Department of Energy’s weapons laboratories, including Los Alamos National Lab and Sandia National Lab. Some are coming out of Bong Wie’s Asteroid Detection Research Center at Iowa State University. Some are coming out of NASA field centers. Here’s a sampling. Terrestrial mining has been and continues to be problematic, to say the least, and the overall exploitation of Earth’s resources has benefited the developed world to the detriment of the developing world – or, more simply, the “haves” to the detriment of the “have-nots.” I don’t expect space-based mining to change this equation. I’m also not at all sure that the idea of expanding human presence into space resonates with people and cultures around the world. And if human colonies in space were ever to come to pass – which I’m doubtful about, at least in the foreseeable future – I suspect that, again, developing countries would move their people off the Earth, leaving those less fortunate to live in the mess we’ve made of Earth. Discovering, tracking, observing, and otherwise learning as much as we can about near-Earth objects makes sense. NEO impacts with Earth have occurred throughout the history of our planet. The difference between the present – say, the past few hundred years) – and the past – the previous 4.5 billion years of Earth’s existence – is that 7 billion people now live on the planet. In 1950, according to the United Nations, in 1950 the global population totaled 2.5 billion. In 2000, it reached 6.1 billion. Today it’s over 7 billion. Global population projections for 2050 range from 8.9 billion to 10.6 billion. For billions of years, Earth and the life on it have recovered from NEO impacts. It’s all the people on the planet today that render future NEO impacts such “threats.” Working on options to deflect potentially hazardous asteroids is a good idea, as is preparing for NEO impact migitation. Building a NEO deflection mission around the use of nuclear weapons is problematic on many levels, starting on the ground, where the mining and processing and handling of radioactive material is still unsafe, not to mention that, in my humble opinion, continuing to build and stockpile nuclear weapons is an idea whose time has gone. As to the ARM, thus far, beyond proponents in the White House and at NASA, neither the space policy community nor the broader “public” has wholeheartedly embraced the ARM idea. Meanwhile, Congress and the White House have a long way to go toward approving a budget for NASA for 2014. Stay tuned to the discourse on the ARM….